Both factors must be documented and examined by the lender. Check today’s VA rates by completing a short online form here. Last 2 years’ tax returns and year-to-date profit and loss statement if you are self employed, have rental property, have a side business, or earn commission income. 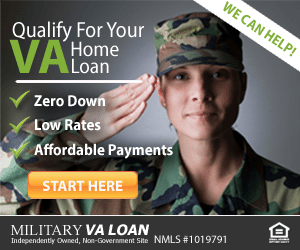 Get a VA loan rate quote here. The lender will compare your income to your proposed housing expense plus obligations like car payments, student loans, and credit card minimum payments. The benchmark ratio of debt compared to income is 41%. Assuming you have no other debts, you could have a $2050 monthly housing payment including principle, interest, property taxes, homeowner’s insurance, and HOA dues, if applicable. Or, if you have $500 in car payments, student loans, and credit cards, your maximum housing cost per month would be $1550. VA allows the ratio to be above 41% in some cases. If you have compensating factors like good credit, a down payment, or extra money in reserve, you could be approved for more. Also, keep in mind that if you are applying for a VA streamline refinance, no income documentation or ratio calculation is required. Talk to one of our VA home loan experts to find out more. Stability of your income is generally determined by examining your previous work history. VA requires employemnt verification for the previous two years. Usually this is documented with W2s or verifications from current or former employers. The lender will determine if your income is expected to continue through the first 3 years of the mortgage loan. If you plan to retire during this period, the expected retirement income, social security benefits, etc. should be used. Any gaps in employment must be reasonably explained by the borrower. Schooling or education for the borrower’s profession (e.g. nursing school) can be counted toward the two year requirement. Allowances for seasonal employment, such as is typical in the building trades for example, may be used in some cases. 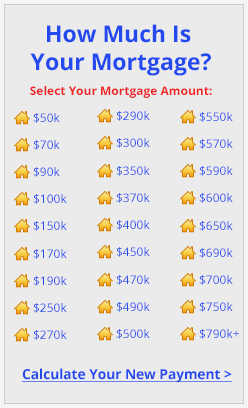 Get a live VA interest rate quote and get pre-approved here. According to the VA Loan Handbook, these types of income can usually be counted toward qualification income. Overtime or Bonus Income: Both may be used to qualify if the income has been received for the past two years and is likely to continue. The lender will use an average of the last 2 years of bonus or overtime income received. Part-time Income: Part-time income may be used in qualifying if the borrower has a 2 year employment history without interruption. Seasonal employment: May be used if the borrower can demonstrate a 2 year history of regular amounts of time on and off work. There must be a strong likelihood that the borrower will go back to work after each lapse in employment. 2nd job: The borrower must show that he or she has had two jobs simultaneously for 2+ years. Income from a new 2nd job will not be used for qualification. Commission Income: Must be averaged over the previous 2 years. The borrower must provide his/her last 2 years’ Federal tax returns (1040’s) with all schedules. Any un-reimbursed business expenses must be subtracted from the gross income. Have any questions? Complete a short contact request form here. Retirement / Social Security Income: Verification from the source is required. If the income should expire within 3 years, the income cannot be used to qualify. Alimony, Child Support, or Separate Maintenance: Though not required to be disclosed, a borrower who chooses to use this income must 1) provide a 12 month payment history from the ex-spouse or courts showing timely payment and 2) provide evidence that such payment will continue for at least 3 years. A copy of the divorce decree and child support order, if applicable, will be necessary. Notes Receivable: A copy of the note and evidence that payments have been received for a minimum of 12 months are required. Should the note expire within 3 years, it can be used as a compensating factor only. Interest and Dividends: Interest and dividend income may be used provided documentation (such as tax returns or account statements) supports a 2 year history of receipt. This does not include dividend re-investment plans. There must be substantial assets remaining after proposed costs of closing the loan. Rental Income: Rent received from investment properties may be used, subject to the proper documentation. Income from roommates or boarders in a single-family property to be occupied by the borrower is not acceptable. The rental agreement on the rented property, or the tax returns from the past two years showing actual rents will be required. Keep in mind that the veteran may have to provide proof of experience as a landlord and bank statements showing three months of rental property mortgage payments in reserve. Self-Employed Income: A borrower with 25% or more ownership interest in a business is considered self-employed. If the borrower has been self-employed less than one year, this income will not be used for qualification. Borrowers must supply the following: 1) personal tax returns for the most recent 2 years (with all schedules), 2) K-1’s, 1120’s or 1120S’s, if applicable; 3) a year-to-date profit and loss statement and a balance sheet; 4) A signed 8821 or 4506 form so the lender can order copies of your filed income tax returns direct from the IRS. Check today’s VA rates here.